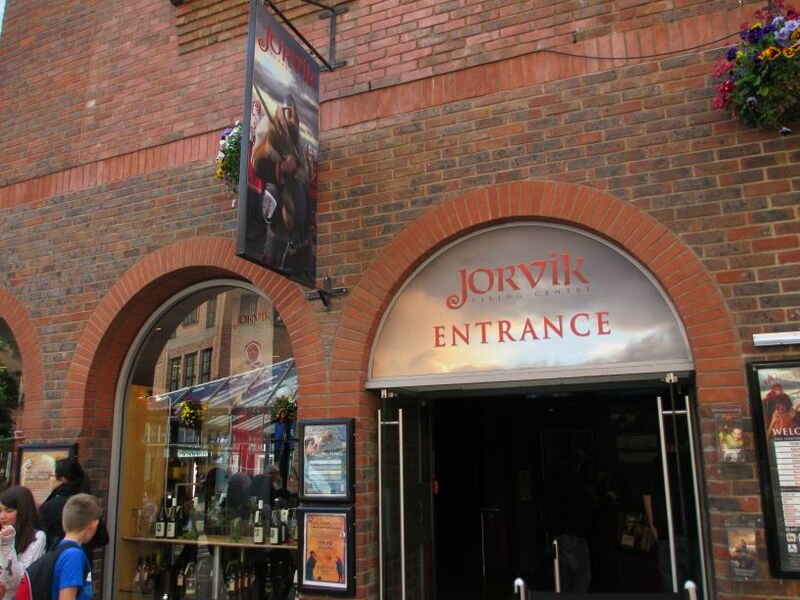 The entrance to the Jorvik Viking Centre in Coppergate, York and the gift shop. 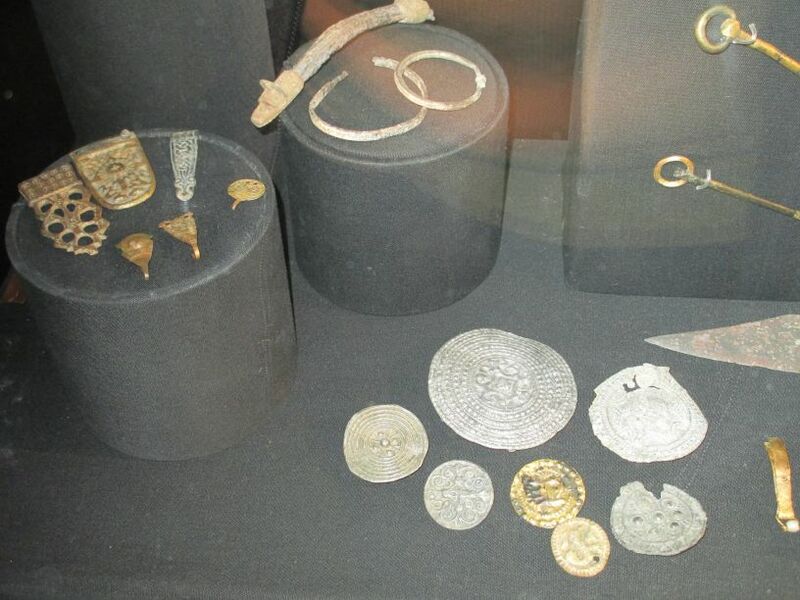 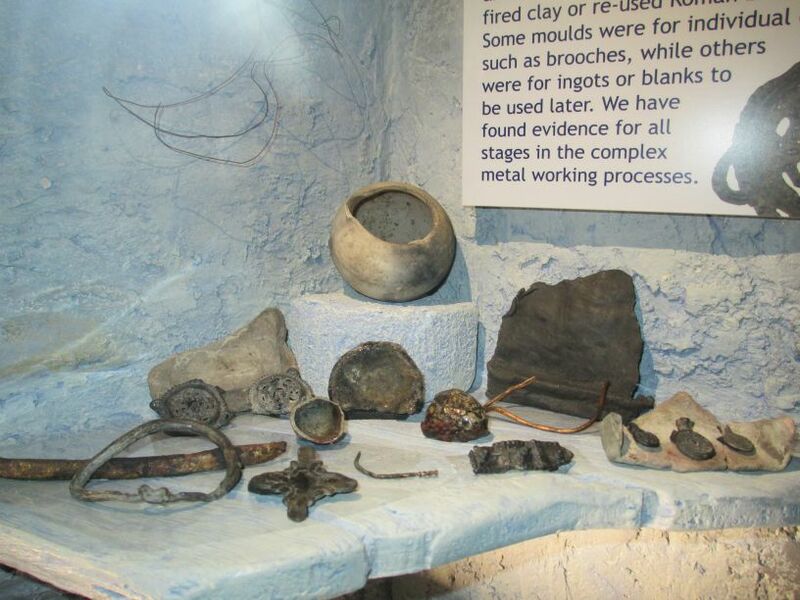 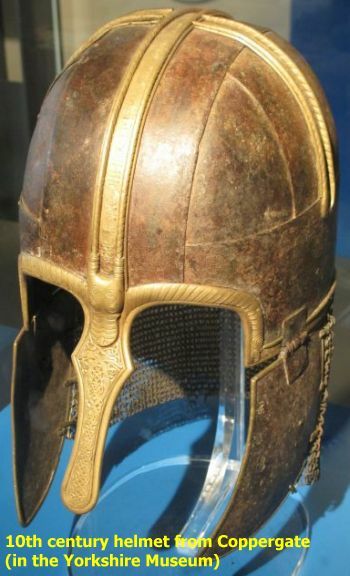 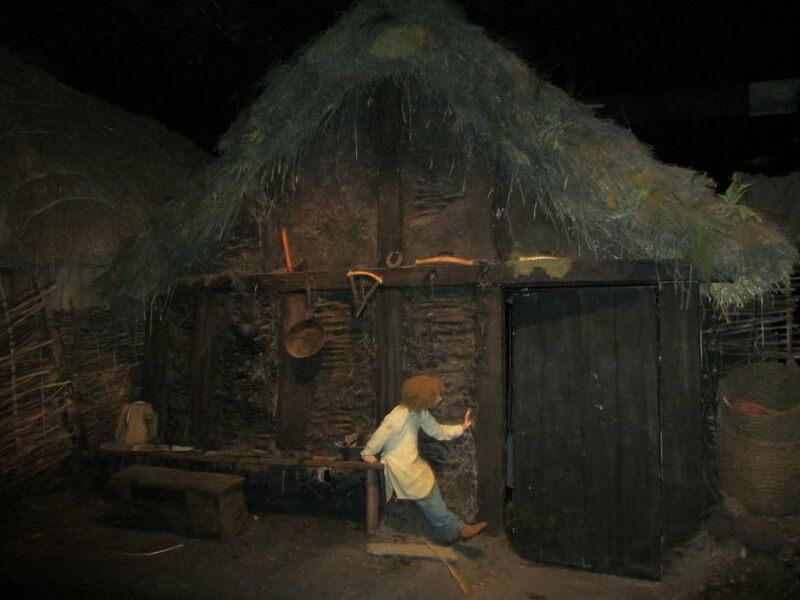 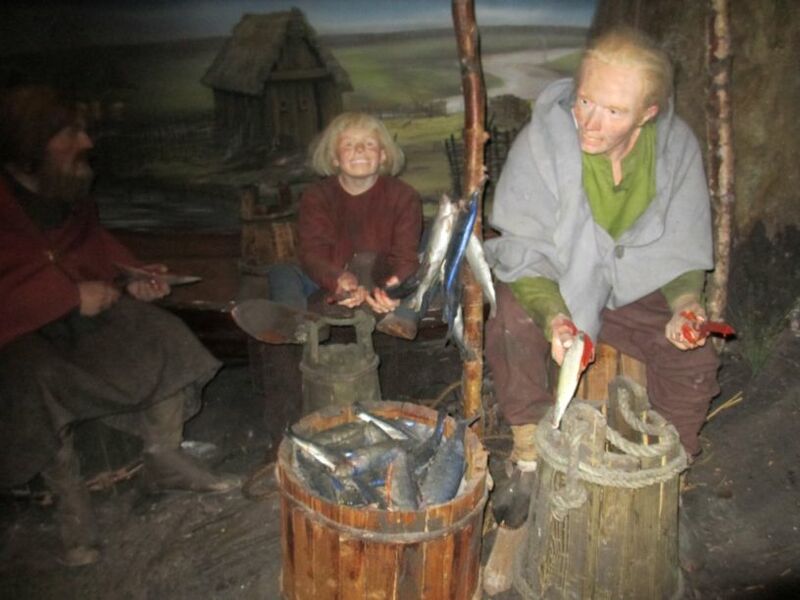 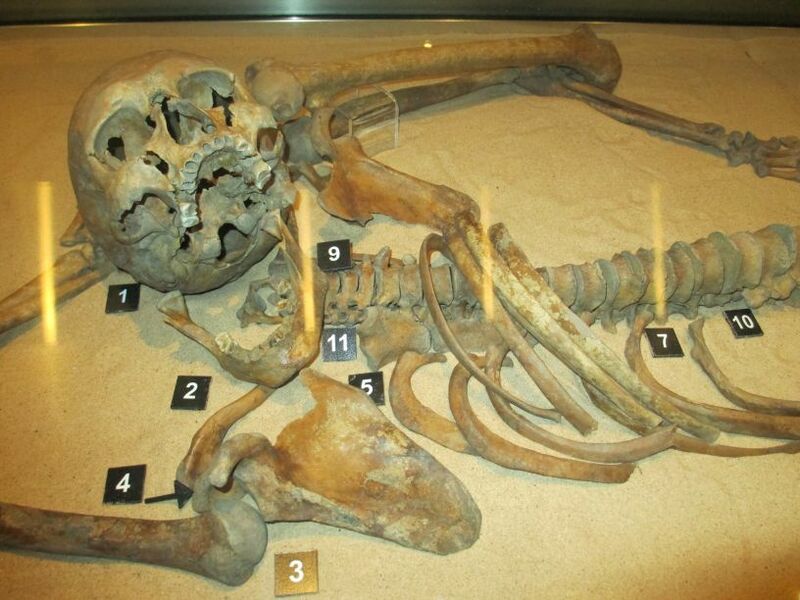 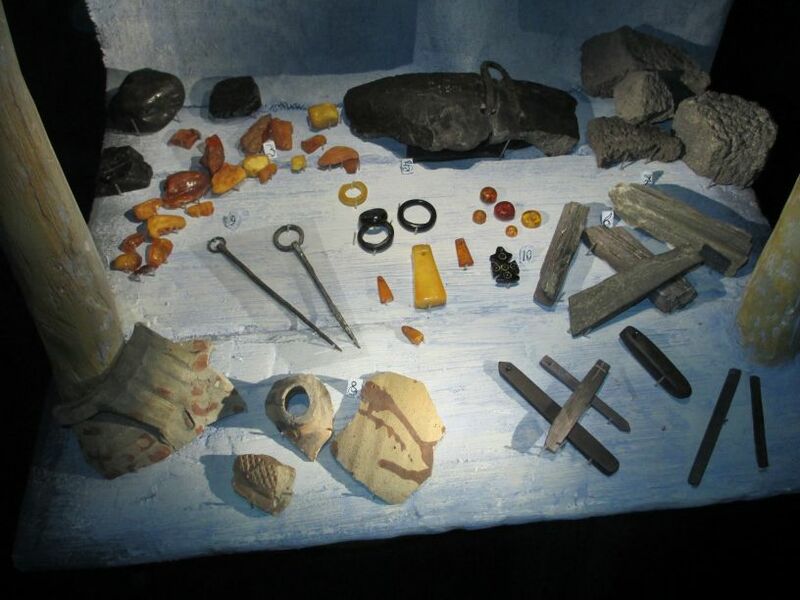 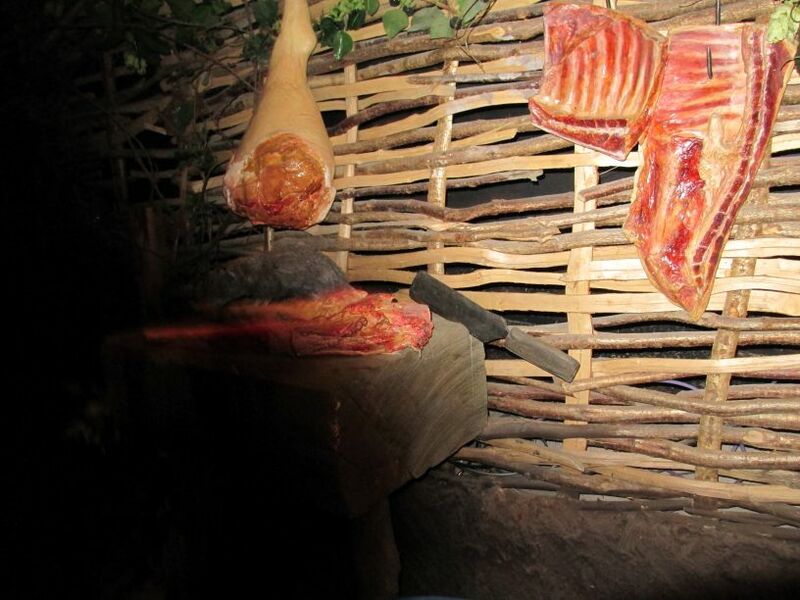 The Jorvik Viking Centre is built on the site where the York Archaeological Trust found the amazingly well-preserved remains of part of Viking Jorvik, York dating back a 1000 years. 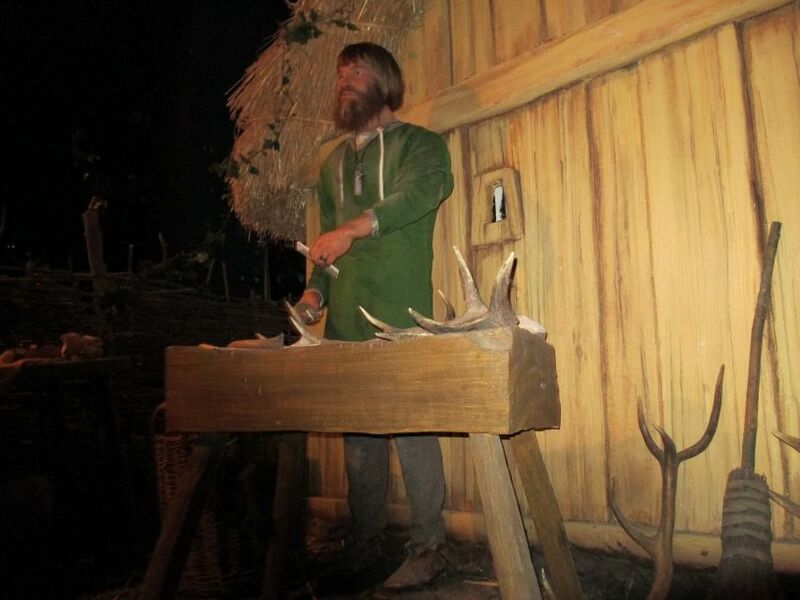 A Viking artisan at work, carving bone in the Jorvik Viking Centre, York. 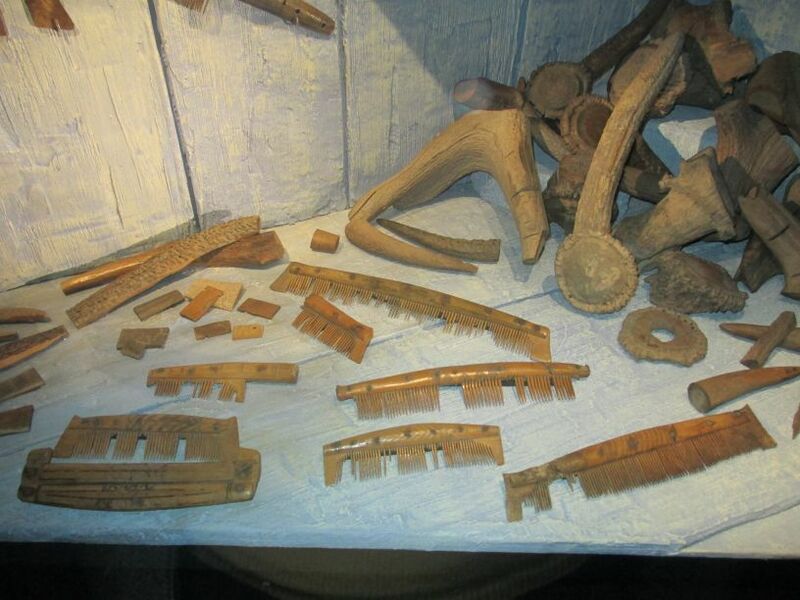 Fine bone and ivory carvings - fine combs were made, often highly decorated, displayed in the Jorvik Viking Centre, York. 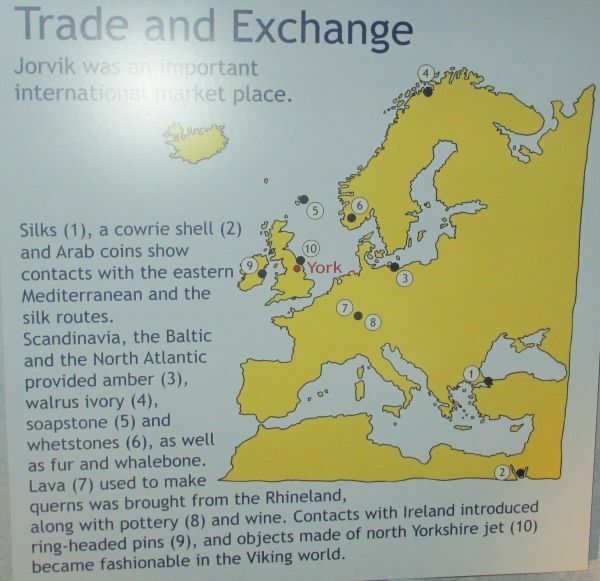 More fine carvings on flat slices of bone in the Jorvik Viking Centre, York.